By all accounts, Brexit has been an unmitigated disaster for the UK, largely because the Tories can’t seem to surmount internal squabbling over the finer points (i.e. the dreaded Irish backstop) of the deal negotiated by Prime Minister Theresa May. 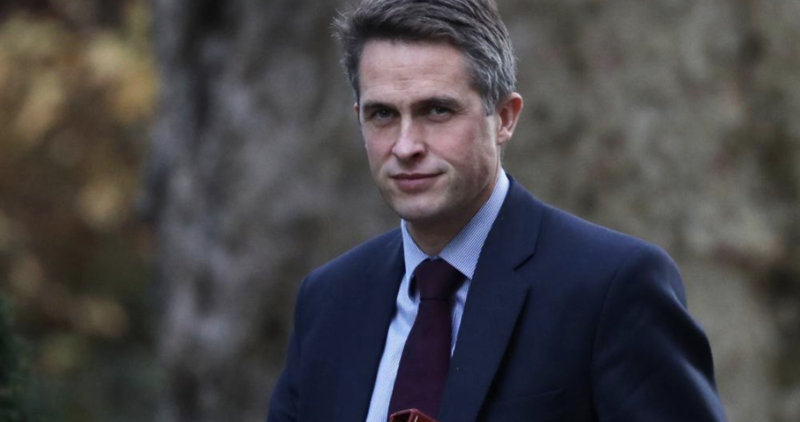 But while the functioning of Britain’s civil service has more or less ground to a halt as bureaucrats focus on “Operation Yellowhammer” – the contingency planning for how the UK will keep its sweeping bureaucracy functioning if the UK leaves the EU next month without a deal – Defense Secretary Gavin Williamson decided to announce during a Monday speech at the Royal United Services Institute that, in addition to launching a multi-billion-pound tour of the UK’s naval might intended to strike fear into the hearts of the Chinese leadership in Beijing, the Royal Navy will also begin investing in its plans to convert ferries into warships. In accordance with its plans, the UK will soon acquire two ferries or cargo vessels and begin the process of converting them to warships. The plan is part of a program to build out more nimble multi-purpose military seacraft (that, we imagine, could also be used to ferry emergency supplies over from the Continent if Brexit truly goes awry). The ships will be among the first assets purchased from the Royal Navy’s multi-million-pound “transformation fund”. Williamson also revealed that his department is planning on buying off-the-shelf drones that build new “swarm fleets” that would be capable of interacting with the UK’s f-35 stealth fighters. Two new vessels will be bought or procured under lease-hire to form the new strike-ship concept, which is set to cost tens of millions of pounds and is due to enter service within the next few years. The MoD will scout for ferries and container ships to find a pair of suitable vessels to convert. Meanwhile, the drones are set to cost £7 million and will be ready by the end of 2019. He said the two ships should be based to the east of Suez in the Indo-Pacific and one to the west of Suez in the Mediterranean, Atlantic and Baltic. …Because nothing will signal to China and Russia that the UK means business like a couple of ferries outfitted with cannons as the UK works to expand its international presence in the Pacific and elsewhere.